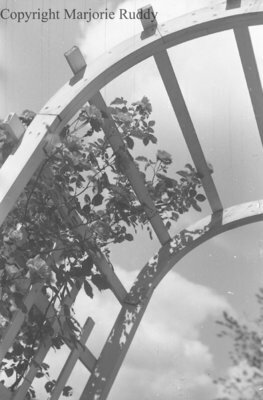 A black and white negative of an arbour covered in roses from Marjorie's garden taken in July of 1938 in Whitby, Ontario. View was taken looking up at the arbour. Roses, July 1938, Marjorie Ruddy. Whitby Archives A2013_040_858B.